I come from women I am proud of. Women whom I love dearly and are such a part of who I am. And the women who came before them; women that I never knew personally but feel a love for and a connection with through the memories that have been shared, the wonderful stories I have heard and the incredible food I have eaten all my life. Not perfect women but strong, loving and faithful women none the less. Women who worked hard and never quit. Women who found joy and made the most of what they had, even in the most difficult of circumstances. Many, the wives and daughters of farmers and loggers in the Pacific Northwest. Women who pulled meals together everyday to feed countless crews that worked hard and needed to eat hearty; maybe that is why I love to feed people, it is in my DNA. Sturdy French peasant stock as my husband likes to joke. He may be teasing me but in truth, he is right; not entirely French peasant but adding the whole mix of heritage would be too complicated. I come from mothers and grandmothers who’s cooking and baking filled their kitchens with warm and welcoming scents. Scents that have become synonymous with home and nurture. Scents that linger still, swirling through the memories of their children and the recollections that have been passed down; generation to generation. I am truly thankful to know where I come from, who I come from. And I am blessed to have heard so many stories of an earlier time and to have countless photos and recipes to go along with those stories. At this point in my life, it has become very important to me to remember the women who came before by preserving their stories and recipes for my family, for my children and for the children to come. And if I can share them with others who enjoy stories of food and family and a good recipe or two, all the better. Many of these recipes and stories will come from the life of my Grandma Ibby (short for Elizabeth), my mother’s mother; the wife of a Gyppo Logger on the Yak River at Hell Roaring Creek above Bonner’s Ferry, Idaho. That, however, is only part of her story, only a part of who she was; but that is where I will start. 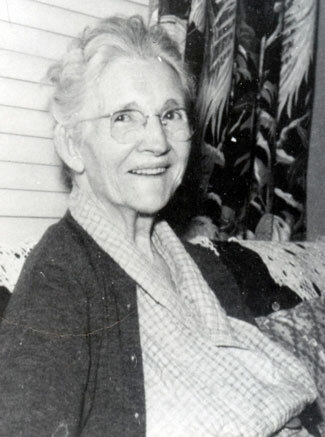 My grandmother raised four children in many a harsh and remote location and she cooked incredible meals, for a lot of people, with no electricity and no running water. Propane fueled the stove she used and powered the refrigerator and once a week my grandfather would fire up the generator so she could run her mixer and bake. Water had to be hauled in daily to fill two galvanized tubs, bucket by bucket from a creek about a quarter mile away. 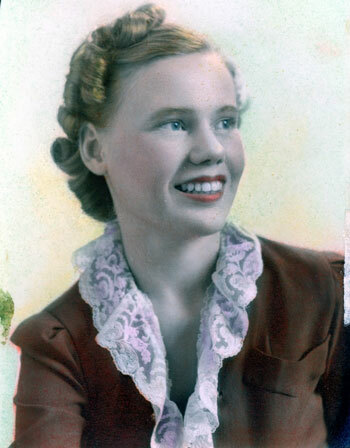 Very early, every weekday morning, my grandmother arose to prepare breakfast for her family and a 6 man logging crew and to lay out meats, cheeses, bread, sides, fruit, and homemade cookies, brownies and treats for the lunches the crews would pack to take to the job site. When the men returned in the evening, they would be welcomed by the hot meal my grandmother had ready and waiting for them. These meals are before my time and are the childhood memories of my mother. Even so, I can picture the bounty of them placed along the long wooden table of the cookshack. 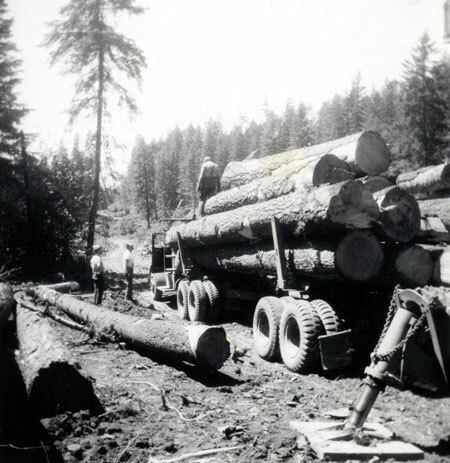 I can picture the comfort they brought as a hardworking logging crew began to unwind over a meal that certainly nourished more than their hungry stomachs and weary bodies. 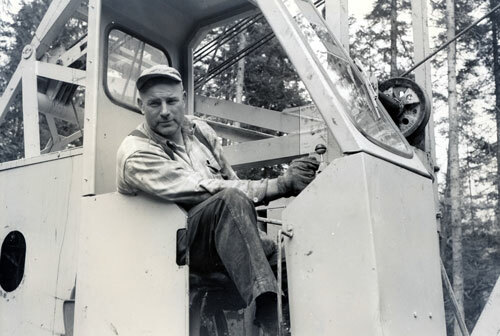 My grandfather on his Skagit loader, circa 1957. 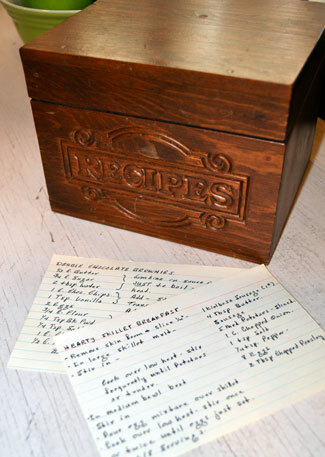 My mom is back for a visit and has brought with her a wooden recipe box containing many of my Grandmother’s recipe cards. In her handwriting. 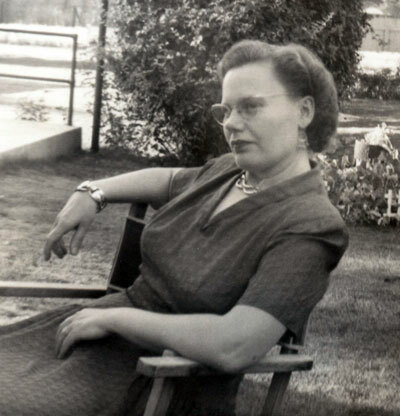 I lost my grandmother in 1986, when I was just 15. To me, that box is filled with treasure. The process of compiling stories, photos and recipes for this family cookbook has been shared with my mom and has made for some very special moments. With each recipe card we pulled from that plain brown box, came a story and a connection to the past. The shared history of mother and daughter. And then the hunt for the apple dumpling recipe. We did find the recipe, and made them this weekend. There is not one left. I am still trying to stop dreaming about them. 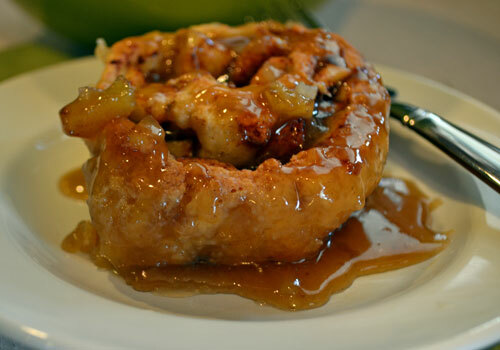 Please visit again tomorrow for my Grandma Ibby’s Apple Dumpling Recipe. These dumplings are unlike any apple dumpling you may have had before and something you have to try for yourself because I really can’t begin to describe to you how incredible they are and I can’t wait to share them with you. This entry was posted in All Things Crafty, Clever & Creative, Family, Family Cookbook Project, In the Company of Angels, Welcome Company, Welcome to My Kitchen and tagged Apple Dumplings, family, Family History, food, Grandmothers, Grandparents, Gyppo Logging, memories, recipes on February 3, 2013 by Welcome Company with Danielle. You are one of those women I talked about and I’m so glad you liked it. 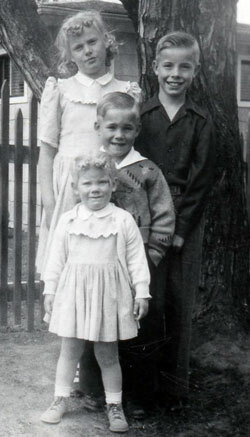 Mom and I laughed at how cute you were in the picture of the four of you. Love you and can’t wait to see you next month! One of my most favourite quotes is by Soren Kierkegaard: “Life can only be understood backwards; but it must be lived forwards.” What stories our grandmothers carried in their hearts and in their precious recipes! This is the history that helps us move forward to create our personal legacies. I saw that quote on your blog and love it. Our history is important, good and bad, and we miss so much when we don’t look back; whether it is to find satisfaction and strength in where we come from or to overcome and “move forward to create our own personal legacies” as you so beautifully said.